Description: It's been so long I dream to see and step on the tulip field. It's one of the interesting flowers in the world. It was so interesting, at our first attempt to see this flower was failed because it was not so many pop outs then we decided to go back again which is this week. It was freezing day but worth it, we could see few and I am so excited to present this video. 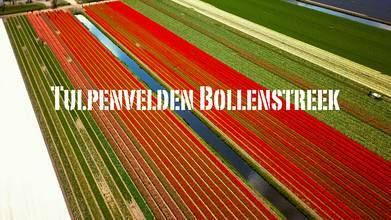 FYI, Bollenstreek is a region in the western Netherlands, that features coastal dunes and the cultivation of flower bulbs. Situated at the heart of historical Holland nearby the city Leiden, South Holland, and boundered by The Hague and Haarlem, the combination of beaches, flower fields, lakes, and history makes this area attractive to tourists.